This is a fun course due to the good layout and the great green condition. 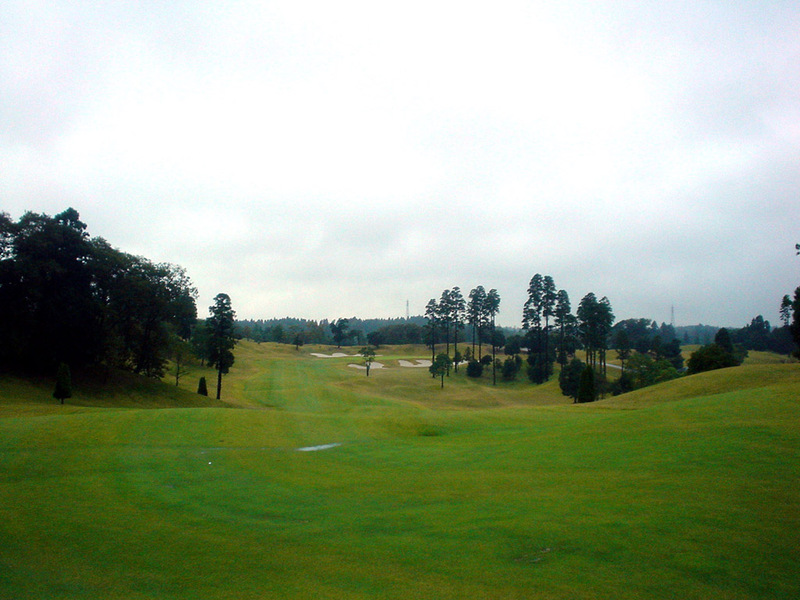 Since there are not many trees in between the holes, the players have a chance to save par from other fairways. This point is not too attractive from either scenic or strategic point of view. However the players can swing the club freely because of that. The facilities at club house are splendid as you can see from the picture on the left. The kiosk floating on the pond was beautiful as shown on picture on the right. They have 36 holes all together with another 18 holes called East course. Par 4 separated by trees. The bunker in front of the green is effectively positioned. The trees on both sides as well as behind the green are not only beautiful but also providing pressure to the players approaching the green. Par 5 with a slight dogleg to the right. The short cut is to go over the bunker on the right of the fairway. However it is necessary to carry at least 250 yards though it is downhill. The green is elevated and protected by bunkers in front and back. Since the width of the fairway around the landing area of tee shots is narrow between only 10 yards and at most 40 yards, the longer you hit, the more chance you have to get into rough or bunkers. Downhill par 3. Not only due to the long distance but also due to the numerous bunkers protecting the green, the difficulty of the hole is quite high. A beautiful finishing hole hitting towards the clubhouse. The fairway is undulated and the green is elevated. 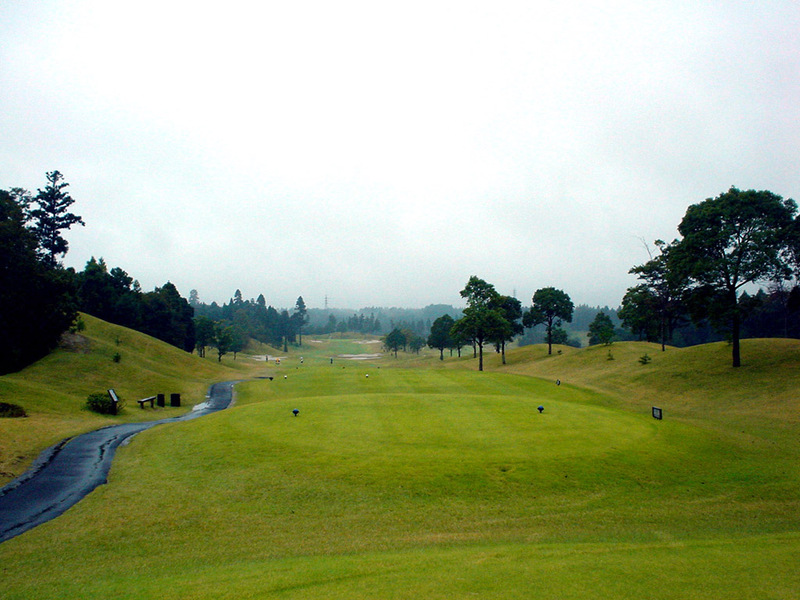 Members’ introduction for weekdays and members’ company for the weekends are necessary for play. 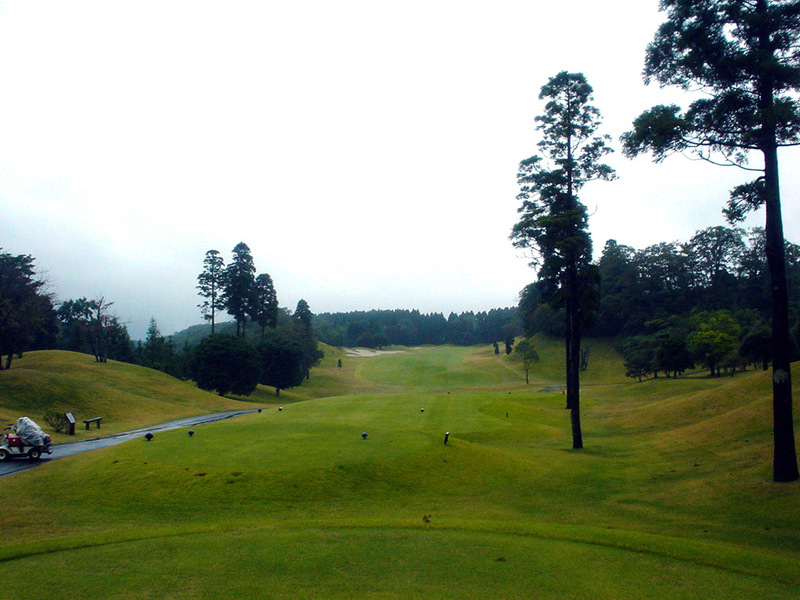 Even though the weather was terrible with heavy rain, the condition of the fairways and greens were good. Especially the greens were fast. 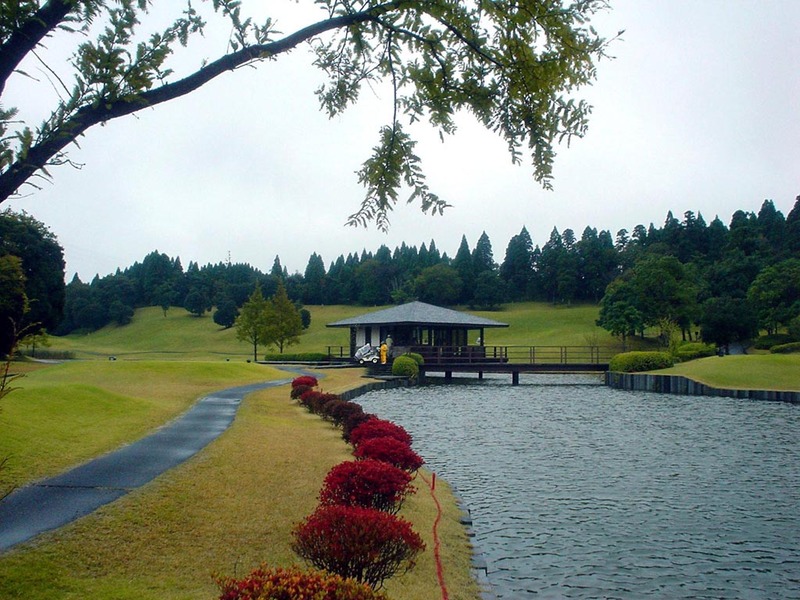 They hosted Japan ladies professional tournament on this west course just 4 or 5 days before the day we played which Ms. Fudo. It was interesting to see the flags on the fairways showing the landing points of her tee shots on the final day of the tournament. I played from the very back tee and landed on the similar place as the flags for two to three times. I saw only 1 flag on the rough out of 14 holes. It was quite convincing to me that she was the strongest player in Japan in 2003 after seeing her driving straight over 240 yards constantly.